The play was written in 1895 by Oscar Wilde, set in London and in it is a great lesson looking at a pristine, superficial relationship vs a deep and intimate but messy relationship. The play revolves around the relationship between Robert Chilton, a rich and powerful politician, and his wife Gertrude. He is about to get exposed for a moral indiscretion from his youth, when he took a bribe. This bribe gave him the financial and political capital that set his career off successfully, but something he had always regretted and worried for the day he could be exposed. 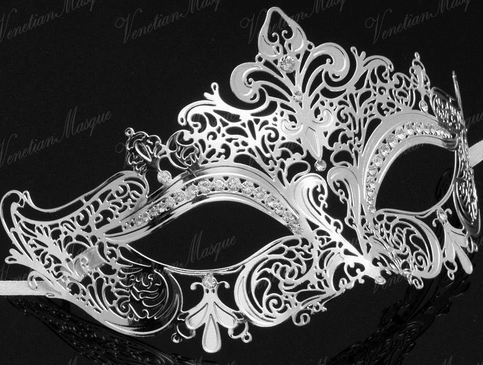 The opening scene is a Masquerade Ball where all the guests wore masks. The characters continued to be shown with their masks on, symbolically showing they were using it to hide themselves from being vulnerable and exposed. As the play progressed, each character physically removed their mask as they shared themselves emotionally. When Robert’s past sin is finally catching up with him, and he is going to be exposed, he comes to his wife taking off his mask to confess his wrong. Gertrude takes great pride that she has married a perfect husband. She feels safe knowing he could never do anything wrong and cannot let her world fall apart. She begs him to deny it and refuses to face the truth. Robert, that is all very well for other men, for men who treat life simply as a sordid speculation; but not for you, Robert, not for you. You are different. All your life you have stood apart from others. You have never let the world soil you. To the world, as to myself, you have been an ideal always. Oh! be that ideal still. That great inheritance throw not away—that tower of ivory do not destroy. Robert, men can love what is beneath them—things unworthy, stained, dishonoured. We women worship when we love; and when we lose our worship, we lose everything. Oh! don’t kill my love for you, don’t kill that! When she is forced to accept the reality. She becomes angry. Everything the marriage was built on was a lie. She can’t forgive and believes the marriage is over. No, don’t speak! Say nothing! Your voice wakes terrible memories—memories of things that made me love you—memories of words that made me love you—memories that now are horrible to me. And how I worshipped you! You were to me something apart from common life, a thing pure, noble, honest, without stain. The world seemed to me finer because you were in it, and goodness more real because you lived. And now—oh, when I think that I made of a man like you my ideal! the ideal of my life! Robert begs for forgiveness. Note: the language is sexist but ignore that and look underneath it for the message. There was your mistake. There was your error. The error all women commit. Why can’t you women love us, faults and all? Why do you place us on monstrous pedestals? We have all feet of clay, women as well as men; but when we men love women, we love them knowing their weaknesses, their follies, their imperfections, love them all the more, it may be, for that reason. It is not the perfect, but the imperfect, who have need of love. It is when we are wounded by our own hands, or by the hands of others, that love should come to cure us—else what use is love at all? All sins, except a sin against itself, Love should forgive. All lives, save loveless lives, true Love should pardon. A man’s love is like that. It is wider, larger, more human than a woman’s. Women think that they are making ideals of men. What they are making of us are false idols merely. You made your false idol of me, and I had not the courage to come down, show you my wounds, tell you my weaknesses. I was afraid that I might lose your love, as I have lost it now. And so, last night you ruined my life for me—yes, ruined it! What this woman asked of me was nothing compared to what she offered to me. She offered security, peace, stability. The sin of my youth, that I had thought was buried, rose up in front of me, hideous, horrible, with its hands at my throat. I could have killed it for ever, sent it back into its tomb, destroyed its record, burned the one witness against me. You prevented me. No one but you, you know it. And now what is there before me but public disgrace, ruin, terrible shame, the mockery of the world, a lonely dishonoured life, a lonely dishonoured death, it may be, some day? Let women make no more ideals of men! let them not put them on alters and bow before them, or they may ruin other lives as completely as you—you whom I have so wildly loved—have ruined mine! Gertrude has time to think and realizes she loves him. They come together again and Gertrude tells him she loves him and can forgive. She admits she put her expectations too high. But she is still wearing her mask, and we as the audience feel like all is still not right. In a twist in the end, a minor indiscretion she committed is standing in the way of her husband forgiving his friend in order to accept his marriage proposal to his sister. In that moment she takes off her mask as she is finally willing to expose herself the same way her husband was exposed. She is finally willing to enter into a truly intimate relationship where both parties are honest and vulnerable and exposed, requiring the trust and the forgiveness of the other. They embrace each other and look into each other’s eyes, for the first time in the play (and their entire relationship) they gaze upon each other without the protection of the masks. They love and are loved unconditionally. Sir Robert Chiltern. [Taking her hand.] Gertrude, is it love you feel for me, or is it pity merely? Lady Chiltern. [Kisses him.] It is love, Robert. Love, and only love. For both of us a new life is beginning. I was overcome with emotion during this final scene as I saw this couple come together for the first time, and I related personally with how my own wife loves me this way. This should be required study for all people in intimate relationships. I certainly wish I understood this at a younger age. As my thoughts seem to turn these days, I thought of this story relative to the church. I view the church as Robert and the members as Gertrude. With the historical information coming out now in the internet age, members are having their lofty views of the church come crashing down. Do we as members take comfort in a naive and false view of the church as being perfect and beyond any reproach? Has the church put a mask on, to hide its deficiencies? Is it in the process of taking that mask off now? As members are we allowing it? Have we as members put a mask on to protect ourselves? Is there an opportunity to take the masks off and forgive and view each other “warts and all”? As Robert and Gertrude, can we fall in love again and start a new life together? Both defenders and critics of the church may get defensive with this comparison. I admit the comparison doesn’t fit perfectly, but I believe there is a nugget of truth in there we can glean. In light of new historical information, some members are turning on the church and rejecting it. I don’t blame them. But some stick with it, seeking for a deeper and more mature understanding and relationship with it. I believe those that love the church and want to find a way to forgive it and to move into a deeper relationship with it will be rewarded for those efforts. I hope the information I share on this site can be valuable to those wanting to move towards that deeper, more fulfilling relationship.